When someone says Los Angeles, what do you think of? Spotting celebrities and sitting in traffic tend to be two things that come to most people’s minds, and while both are common in L.A., this California city also makes for a fun place to travel. In and around the Los Angeles area you’ll find beaches, amusement parks, great hotel choices, museums and Hollywood movie attractions many want to see. If you plan to go there for the first time or are curious if it’s worth the trip, take a look at these 10 places you must visit near Los Angeles that draw people to this city from all over the world. Stay with the Hollywood appeal and take a stroll along the Hollywood Walk of Fame. On these 15 blocks of Hollywood Boulevard and three blocks of Vine Street you’ll find more than 2,500 brass stars and signatures from famed actors. While walking along Hollywood Boulevard, be sure to check out TLC Chinese Theatre. This Hollywood theatre had its grand opening in 1927 and is the most sought-after Hollywood theatre for movie premiers. This historic and cultural landmark and the Walk of Fame are two Hollywood sites you don’t want to miss out on seeing. Another amusement park in California is Knott’s Berry Farm. If traveling with children who like Snoopy and amusement park rides, then bring them here. But there’s also fun for the whole family with different family rides, water rides, roller coasters and thrill rides for those feeling daring and adventurous. Just outside of this theme park is California MarketPlace that has 15 shops and dining spots. Knott’s Berry Farm is about a 30-minute drive from LA, but spending a day there with your family is worth the drive there and back. Santa Monica Pier just about has it all. You can swim, surf, sunbathe or walk along the beach. You can take a bike ride along their bike path that goes 22 miles to Torrance, Calif. You can also fish, see street performers and ride on some of the thrill rides at Pacific Park. You can also grab a bite at one of the restaurants or from one of the food carts at Santa Monica Pier. With three miles of beach, numerous activities always going on and an average of more than 300 days of sunshine each year, this is one LA experience you must have. For those interested in astronomy, the Griffith Observatory is the place for you. Look through their optical and solar telescopes, see dozens of exhibits outside and inside their building or enter their 200-seat presentation theater to watch a short film on the Observatory. The Samuel Oschin Planetarium is one of the best planetariums in the world and a well-liked feature of the Griffith Observatory. This popular Southern California attraction is visible from many parts of the Los Angeles basin, so you not only get a great view of the sky but also of LA. This attraction is closed on Mondays so don’t plan your visit then. 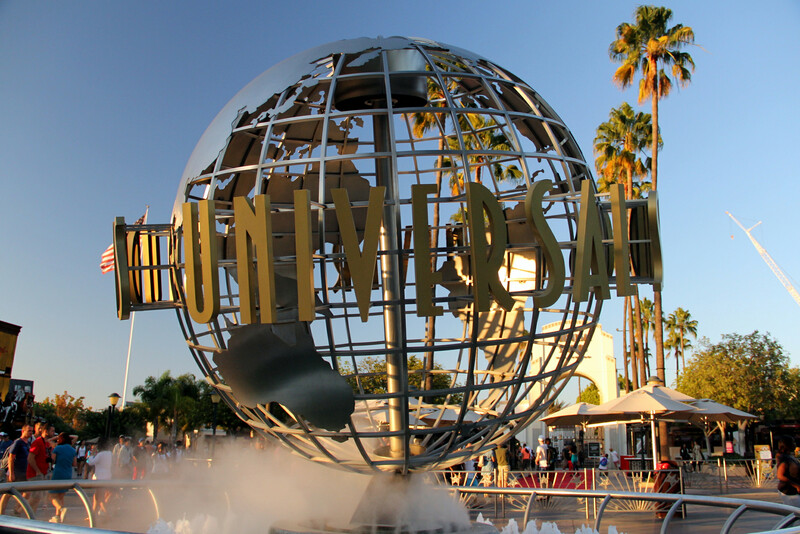 To get a small taste of Hollywood, visit Universal Studios Hollywood. While here take a behind-the-scenes tour of the world’s largest working movie studio to learn about special effects and other movie making practices, and then get into the action of some of your favorite Hollywood flicks with the action-packed rides and attractions offered at this theme park. Venice Beach is an area that could thoroughly entertain you or just shock you. All different kinds of people flock here, but it’s a known hangout for the more creative and artistic types. Besides the beach that’s always filled with sunbathers, there’s also a promenade, shops, restaurants and sporting courts, like handball and basketball. This venue may not be at the top of your list, but it’s a fun and entertaining one that tourists should stop by if they have time. The J. Paul Getty Museum has two venues in California. The one in Los Angeles at the Getty Center has European and American works of art, including paintings, sculptures, drawings, photographs and manuscripts. Besides the various works of art from different ages and countries, this museum has a beautifully impressive architectural design. Admission is free to see the Museum’s collection and its many changing exhibitions offered throughout the year. This destination brings in locals and tourists with its selection of fresh produce and yummy snacks. LA’s famous and original Farmers Market was founded in 1934 and now has hundreds of merchants who sell produce, meats, gourmet groceries and bakery items. Adjacent to the Farmers Market is The Grove. This area in Los Angeles offers a number of stores to shop at, restaurants to dine at, a movie theater and various special events. This Malibu beach is one of the biggest and most popular in Los Angeles County. Zuma Beach is the cleanest beach compared to Santa Monica and Venice, so it’s the best one for swimming and sunbathing. It has good waves for surfing and also offers areas for diving and fishing. There’s plenty of parking at Zuma Beach, as well as lifeguard stations to make sure all beach goers stay safe while there. Los Angeles is one of the top entertainment cities. Travel here and experience all of the fun activities offered to people of all ages. Also, look into some of these top hotels located in and around LA where you can stay at while on your trip. The attraction known as the “Happiest Place on Earth” continues to earn this nickname with its exciting rides, special events and overall happy, fun atmosphere. Children love taking pictures with some of their favorite Disney characters, dressing up like a Disney princess and watching the fireworks and parades at Disneyland Park. But the eight themed lands at Walt Disney’s original theme park also make for a fun time for teenagers, young adults, parents and grandparents. Disneyland Park truly is a place for those of any age to explore and enjoy every minute of while there. You can also check out Disney California Adventure Park to see Disney and Pixar stories come to life through its entertainment and attractions. Discover fun activities for your L.A. trip or just near home, like the Santa Monica Pier above. Book through IHG and earn 1,000 points.